Thursday 31st August 1916: The Luton Tribunal hearing appeals against military service has expressed its dissatisfaction with the way in which men are being medically examined at Bedford. The Town Clerk had written expressing concern that two unfit men had been passed for military service and had received a most unsatisfactory reply. A number of other cases had also been noticed, including one man who was not capable even of ordinary volunteering, and another passed fit who was on the verge of consumption. The Mayor remarked that the medical authorities would face serious trouble later if they passed men suffering from consumption. It also seemed that heart disease was not considered sufficient to keep men out of the Army. The Luton Tribunal was not prepared to send men into the Army when it knew they were not getting the examination required by law. A letter has been sent to the War Office and a reply is awaited. Friday 28th July: In the old committee room at the town hall, Bedford, the Mayoress, Mrs F. R. Hockliffe, and her party meet daily to make hospital supplies for the troops and garments for women and children in allied nations. However, over August and September, the party will be depleted and more volunteers are needed to carry on the good work. Since 6th January 1916, the Mayoress and her party have sent out quantities of garments to Serbian women and children, fly-nets to Egypt (at the request of the War Office), as well as hospital shirts, socks, helmet covers and anti-vermin belts for the troops. At the beginning of the month, when the big push started, the Mayor and Mayoress visited London to enquire what work women could most usefully carry out, besides munitions work. They were instructed to organise hospital supplies. British hospitals and allied hospitals are in urgent need, owing to the increased number of casualties at the front. 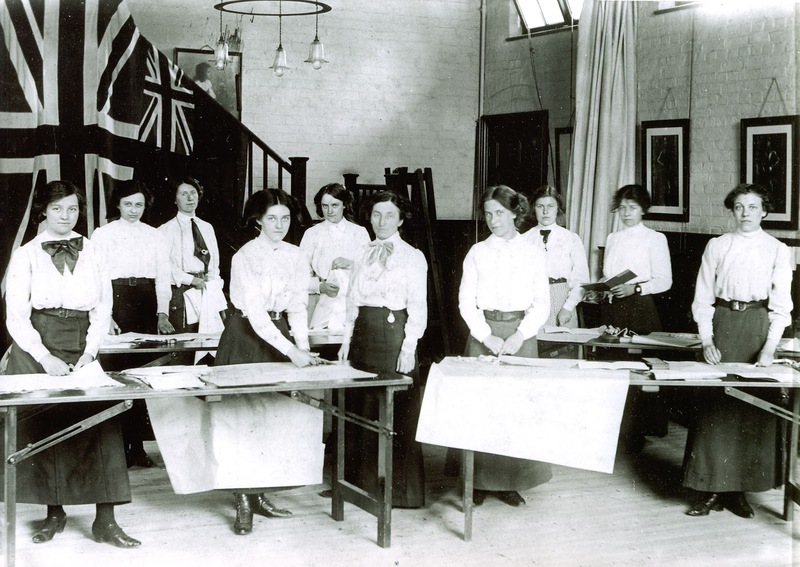 The committee room at the town hall has been prepared specially for hospital work, with a target of producing one hundred garments a week. Members of the public can visit the working party and inspect the work every morning. 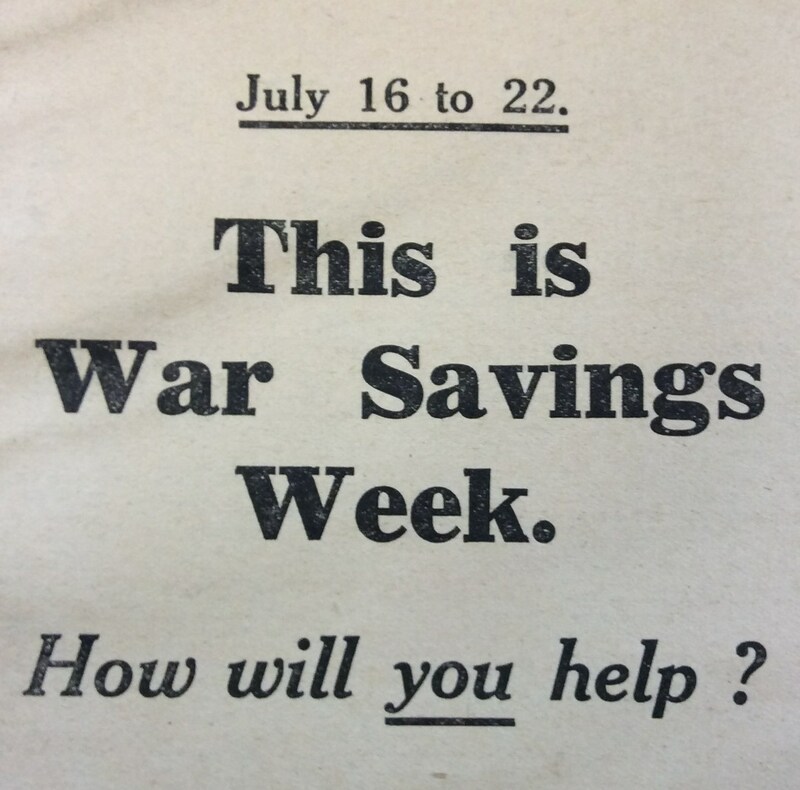 The Mayoress is confident that the citizens of Bedford will give generously to help soldiers fighting in increasingly precarious circumstances. Private Hills has been interviewed by the Sunday Times in Sydney and has told them it is a great consolation to him that he “got” five Turks before he was wounded. He spent time in nineteen hospitals before he was taken to St. Dunstan’s in Regents Park, a home established for blind soldiers and sailors. While there he occupied the same room in which the Kaiser had slept when he had been a guest at the same house before the war. While there he was trained first in typewriting, and then studied poultry raising in the country life section. This new industry for the blind is proving successful and Private Hills intends “hitting out in the hen departure”, confident he can make a success of the business. Private Hills is also a great reader, and is looking forward to receiving a supply of the latest works from the Sydney Blind Industrial Institute. Saturday 22nd July 1916: Belgian refugee Lambert Giebels, who was sentenced to three months imprisonment for theft in May, has appeared in court at Bletchley charged with assaulting a police inspector. After completing his gaol sentence Giebels was taken to a detention camp in London to await deportation, but on Thursday morning he escaped, despite being “scantily clad”. 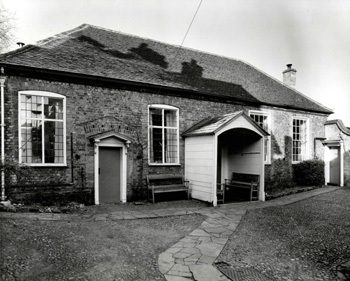 Giebels returned to his cottage at 7 Plantation Road, Leighton Buzzard, but the Leighton police had been informed of his escape and were on his trail. Yesterday afternoon a special constable spotted him walking towards Bletchley with his wife and baby. The constable fetched Inspector Callaway, who told the court that he found the prisoner and his wife in a field. He accused the man of being Giebels and took a pair of handcuffs from his pocket, but when he saw them the prisoner said he would go quietly; however Giebel’s wife got between them, allowing her husband to run away. The Inspector chased him and after a violent struggle the escapee was arrested and taken to Bletchley Police Station. While he was being searched he took a piece of paper out of his pocket, tore it in half and tried to eat it, but Inspector Callaway seized him by the throat and hooked the paper out of his mouth with a finger, getting badly bitten in the process. Giebels was remanded in custody, shortly before two Belgian military police from London arrived in search of him. Despite this incident, which is most unusual, the people of Leighton and Linslade have great sympathy for the suffering Belgians. The girls of Linslade Council School recently held an open day in support of Belgian Day, which collects money to help Belgian children who are still in their own country. The girls brought cakes, fruit and vegetables for sale, raising nearly £2. They gave a performance of drill, songs and recitations, and two little Belgians sang the French and Flemish national anthems. Altogether the day raised a total of over £4. Two days later the children of the Infants’ School also held an open day for the same cause, which raised a further £1.11s. The Leighton Buzzard Observer has also published an appeal (in French) by Charles Piron, a Belgian refugee staying at the Plume of Feathers Hotel in Lake Street, Leighton Buzzard. On behalf of his son, a prisoner of war, he has asked for help in sending food parcels to Belgian prisoners of war who are unable to receive them from home. Private H. G. Preece of the 2nd Beds Regiment, who is recovering from wounds at Broadstairs, was fortunate to escape death. Before the war he was well known among local footballers as the secretary of Ivydale F.C. He writes: “We were in the trenches waiting for the signal to take some German trenches 700 yards away. The Huns bombarded us, but we made the attack and won the trench. It’s wonderful how our lads go into action: they sing and whistle. The Huns must have lost large numbers of men as our artillery has been heavily bombarding them daily. I must tell you my helmet saved my life, as a piece of shell pierced through and struck the back of my head. I have also wounds in my left fore-arm and left foot. I cannot describe the ground, as it was in such a terrible state, but there were hundreds of dead Germans lying about.” Another Luton man, Sergeant Sam Impey of Stanley Street, was wounded in the head by shrapnel on the first day of the battle and is now in a base hospital on the French coast. Although his wound is not too serious, he says he “would rather have done without it”. 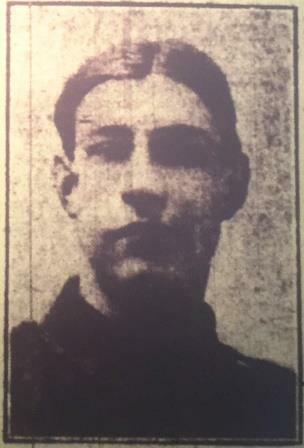 Sergeant Impey joined the 7th Beds Regiment in September 1914 before his eighteenth birthday and is still only nineteen. 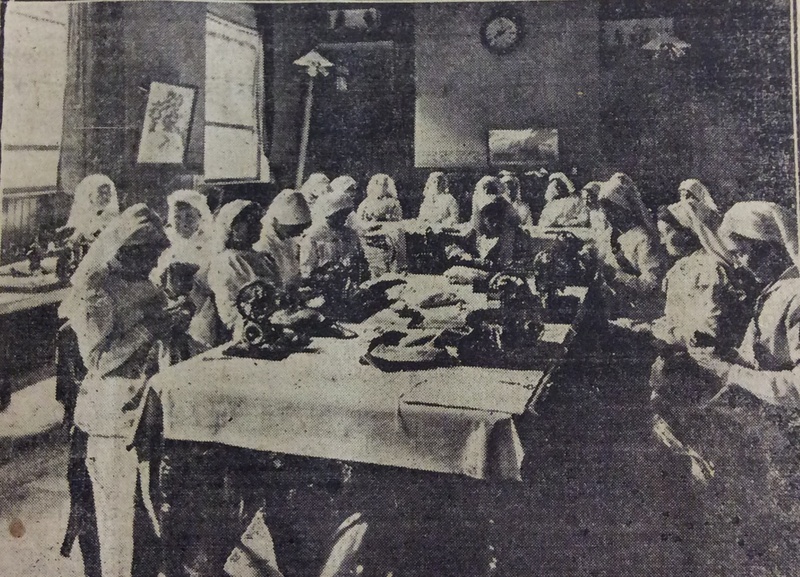 Friday 14th July: An exhibition embracing cookery, laundry, upholstery and needlework is held at Miss Amy Walmsley’s school, part of Froebel teacher training college. Miss Walmsley is a prominent figure in Bedford, being the first female councillor of the town, and very active on Bedford’s home front. 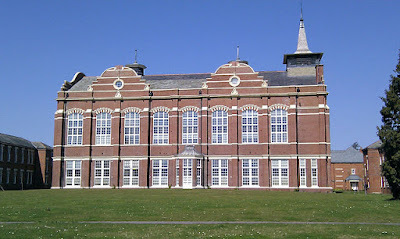 Her school specialises in domestic science and economy. A number of new and tempting dishes are on display amongst the cookery exhibits, created with a view to the strictest economy in the use of meat and fish. Roast beef, boiled hams, homemade bread and cakes – walnut cake being a speciality – blanc mange and fish cutlets...all were served-up in a manner to tempt the most jaded appetite. Vegetarians also had a wide choice of attractive dishes and salads. Thursday 13th July 1916: A year ago we heard that William Harper Brantom of Ivy Dene, Stoke Road, Linslade, had won the Distinguished Conduct Medal. Now news has been received that he is one of the early casualties of the terrible battle that has broken out in the area of the Somme. Brantom, was a popular local figure. He was an old boy of Dunstable Grammar School and a keen sportsman, playing for both Leighton Town Cricket Club and Linslade Football Club. He joined the Civil Service Rifles immediately war broke out and won his DCM for gallantry in a bombing raid at the Battle of Festubert, during which he was wounded in the shoulder. He was offered a commission on a number of occasions, but refused as he did not want to leave his comrades. 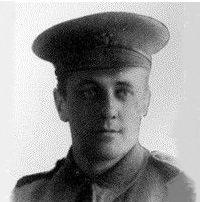 When he was given the unusual honour of being offered a commission in his own battalion he accepted, and at the time of his death he was a Second Lieutenant. Wednesday 12th July 1916: A wartime romance has reached a happy conclusion in Luton with the marriage today of Sergeant R. Hayward, an artillery sergeant at Biscot Camp, to Miss Rose Charlotte Marsh of 112, Leagrave Road. 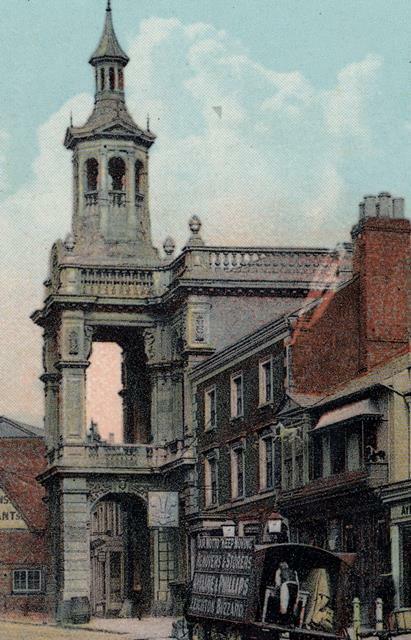 The wedding took place at Christ Church, Luton. The bride wore white with a silk veil and orange blossom and carried a bouquet, with bridesmaids Lily and Violet Marsh wearing white voile, and a third bridesmaid, Miss Eva Kirby, wearing shantung. The bridge and groom met quite recently at a military concert in Luton. A rather less happy event took place at Biscot this evening when Driver Green of D Battery of the London Royal Field Artillery was playing football. He slipped and fell heavily, sustaining severe bruises and dislocating three fingers. He is now recovering in the Bute Hospital. Saturday 8th July 1916: Leighton Buzzard’s only conscientious objector has appeared at a military tribunal to request absolute exemption from war service on religious grounds. The man, who has not been named, is a 27 year old house decorator living in Regent Street. 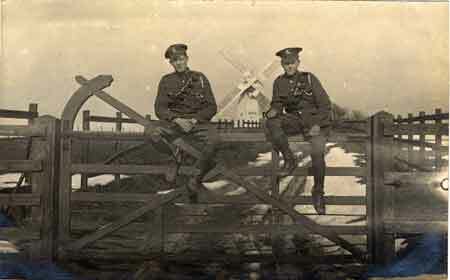 The tribunal was told that the applicant’s views were of long standing: before the war he had posted peace posters around the town; he had spoken publicly against the war; and he was peace correspondent for the local Society of Friends (also known as Quakers). He stated that not only was he not prepared to fight, but he would also not take part in the war in a medical capacity, knowing that the wounded would be sent back to fight again once they recovered. He would also not help with minesweeping as he would only be allowed to sweep German mines. The advisory committee recommended that the applicant should be made to serve as a non-combatant. One member of the tribunal said he thought a man holding such views should be put into a boat on the North Sea and left to choose which side he would take; another suggested that the final decision should be left to the County Appeal Tribunal; and a third pointed out that the man was acting within his legal rights. After considerable discussion the decision was taken that his conscientious objection should be accepted and he was released from military service on condition that he would undertake agricultural work. 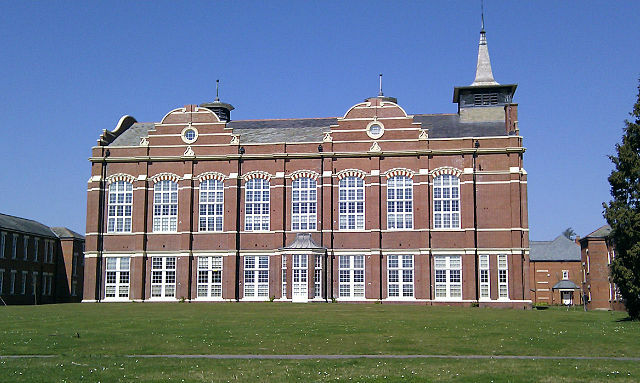 Monday 3rd July 1916: Napsbury Asylum, near St. Albans, has now been converted into a large military hospital. The former patients have been moved elsewhere, and the new hospital is able to accommodate over 1,500 soldiers. While the authorities have provided all necessary medical equipment, there is nothing available to entertain the men during their stay. Mr J. C. Kershaw, who has been appointed Almoner for the Luton district to the new hospital, is appealing for help to provide equipment for both outdoor and indoor games to make the soldiers’ time there more pleasant. The list of items required includes: cricket bats, stumps, balls, pads and gloves; tennis racquets, nets and balls; croquet mallets, balls and hoops; bowls; quits; footballs; draughts; chess sets; dominoes; playing cards; bagatelle boards; gramophones and records. He has also asked for donations of money to buy items for the men, in particular tobacco and cigarettes. 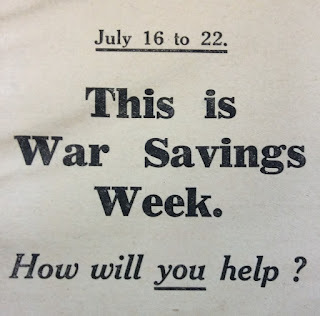 Our contributors at Bedfordshire Archives Service have been posting daily on both this blog and our companion blog Bedfordshire At War for almost two years. Our intention has always been that this would continue through to the centenary of the Armistice in 2018. Unfortunately a reduction in our resources means that while we will still be posting regularly the Bedfordshire Home Front entries will no longer be appearing daily, and will from now on be focusing primarily on the Bedford, Leighton Buzzard and Luton areas. 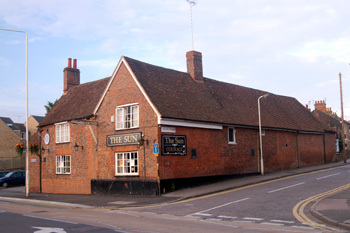 The Bedfordshire At War blog will still be appearing on a daily basis. We aim to post on this blog three times a week, and hope that you will continue to enjoy the entries here even though they will appear a little less frequently.